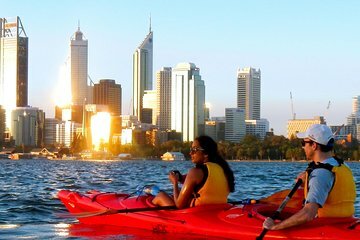 Paddle along the tranquil waters of the Swan River at sunset during a 2-hour kayak tour from Perth. Your experienced guide provides comprehensive instruction to get you started, then points out local wildlife such as dolphins, birds and fish as you glide through the Swan Estuary. Enjoy views of the Perth skyline as the city lights begin to flicker on for the night, and learn about the region from your guide. Your kayak tour is limited to 12 participants to ensure a more personalized experience.